Visiting my daughter at her college apartment, she pulled out an oddly shaped object with a cord and plug and a few plastic pieces. She found it in the cupboard when she moved in but couldn't figure out what it was. I was also stumped so we went on line. 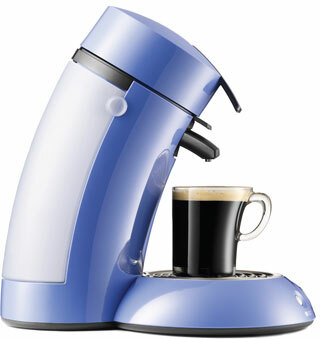 It turned out to be a Philips Senseo coffe maker. However, we still could not figure out how to put it together or how to make it work. We saw what it was supposed to look like and realized we were missing the tray and cup but that could be given substitutes from what we found around the apartment. Then we went on a Pod search. OUCH! Can't afford these prices at the store or on line! So, I guess this nice maker will go in the garage sale unless we can find a cheap way to make coffee in it.